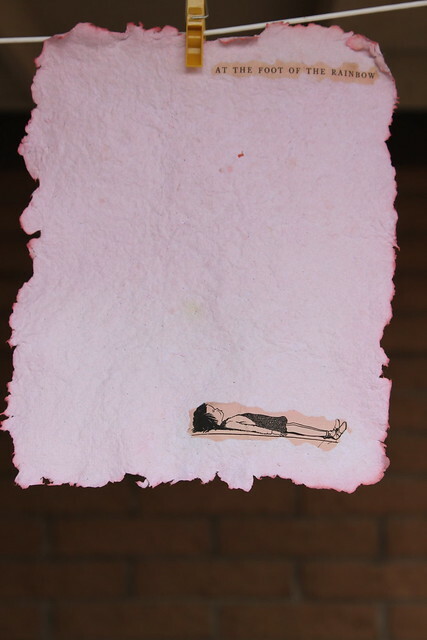 I have been teaching myself to make paper over the past few weeks, with the help of google and a lot of trial and error. It took Der and I about a week to create a mold that I liked. All of these pages were made with Conrad and Ami’s old homework. 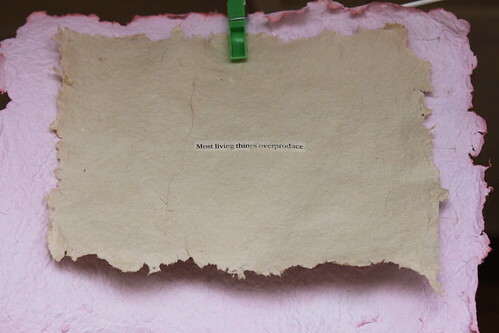 The words and pictures you see are not glued to the paper, they are part of it. 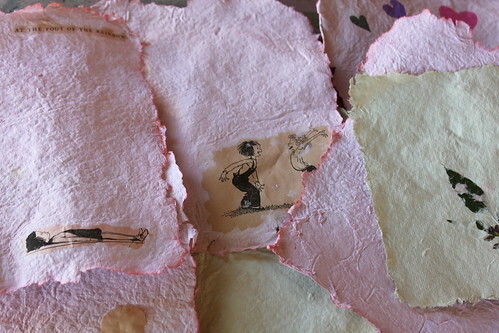 I took clippings from books and added them to the pulp as I made the sheets. I have lots of ideas and am excited to see where it goes. What a very cool idea! You’ll have to post the recipe and steps! Love the added little extras! When I get it down a little better, I will absolutely share. Thanks Flossie!